Welcome to the Junior Golf Hub Preview Series! You’ve made it to the big stage. Your journey with the AJGA is about to begin. Are you ready? 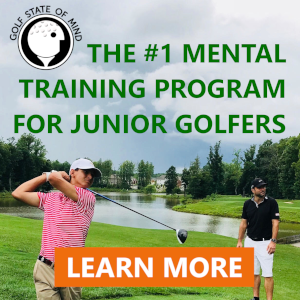 Here at The Hub, we understand that playing in your first AJGA event and competing on a national level for the first time can come with some nerves. But, we’ve got you covered! We’ve been here before! Unlike all the competitors in the field this weekend, The Hub gets to come back to the Preview Series every year! So, to ease your nerves, we have some special pieces of Hub advice for you from Scotty Kennon, last year’s Boys Champion, Kate Villegas, last year’s Girls Champion, and The Hub’s own Rick Dowling. Let’s get you started on the AJGA with a BANG! Before we get to some course-specific tips, let’s talk about the Preview Series and what’s at stake this weekend, and take a look at some historical scoring information. Playing in a Preview Series event is a great entry point into the AJGA. Given there are no Performance Star requirements, it’s an opportunity to have a great chance to play in an AJGA event, test your game against the better peers in your region, and a great opportunity to earn Performance Stars you can cash in during the rest of the season. Scotty would go on to earn his way into more AJGA events and eventually break through with a top-five finish at the AJGA Sunriver Junior Open later in the season, securing Fully Exempt status on the AJGA – the keys to the proverbial AJGA Kingdom. Since then, Scotty has established himself as a top prospect to college golf coaches. Kate would go on to place 2nd in her first ACDS Junior All-Star event later in the summer, which included two rounds in the 60’s. And after notching a few wins on the SCPGA Tour, she is eager to start playing in AJGA Open and Invitational events! So, now it’s your turn. Let’s get you ready for your first event with the AJGA! Prior to your round, jot down the wind direction and continuously monitor changes in its strength and direction throughout the day. The prevailing wind is out of the west (the Pacific Ocean is just a mile away). Scotty and Kate both recall swirling winds, especially on holes located to the back-left portion of the property (5 – 14). Although it may seem obvious, put the ball in the fairway to score well. Kate stressed “positioning off the tee” and Scotty concurred, recalling pin locations to be “very scoreable” once you put the ball in the fairway. Find your tee lines during the practice round. This piece of advice seems obvious, but it is imperative to discover the optimal tee shot lines for your game during the practice round. A majority of the par-4’s (including #13 mentioned below) and par-5’s require precision off the tee, either from a directional or club selection perspective or a combination of the two. Take diligent notes during the practice round, get yardages to and over trouble, and pick your target lines and shot shapes accordingly. A majority of the holes (especially #2 and #16) feature some tricky shelving or undulations. Map the greens during the practice round and mark the anticipated hole locations to effectively plan your approach shots. Kate focused most of her time at River Ridge on developing a feel around the greens. She advises everyone to hone in on speed control and lag putting, something she attributes last year’s success to. According to the golf staff at River Ridge, hole #13 might very well be the most difficult hole in Ventura County – one that features a double-dogleg with lakes on both sides. If the hole location on the par-5 14th is left of center, favor the right side of the fairway for your lay-up. Many golfers hit lay-up shots to the middle or left side of the fairway only to find themselves blocked by a tree that overhangs the left side of #14 green. Although it measures only 150 yards for boys and 130 yards for girls, be warned! This green is severely pitched from right to left. A missed green short and left makes for an easy up and down. Golf runs deep in the Kennon Family. Scotty’s brother Jackson and sister Cassie are also accomplished golfers and father Armando is a caddie at Bandon Dunes. Recently, Cassie competed in the Drive, Chip and Putt World Championships held at Augusta National. Check out Golf Channel’s feature about golf in the Kennon Family! Kate Villegas and friend, Kamille Dimayuga, will play together in the 2018 U.S. Women’s Amateur Four-Ball after shooting a qualifying score of -2 (69) at Goose Creek Golf Club in Jurupa Valley, CA. El Caballero Golf Club will host the event, a golf course that has held LPGA tour events and crowned past champions including Annika Sorenstam and Se Ri Pak. What an awesome opportunity! Good luck to Kate and Kamille! Be sure to partake in the FootGolf Long Drive contest after the practice round. River Ridge is not only extremely proud to host the AJGA Preview Series for the seventh time but is also honored to be the site of this year’s FootGolf National Championship! They’ll host 144 of the world’s best footgolfers later this year. So be sure to stick around for some fun after your practice round! On behalf of Junior Golf Hub, we wish all competitors the best of luck this weekend! No matter the result, you’ll definitely come away from the event having learned something about what it takes to compete on the AJGA, how your game stacks up to the competition, or how you handle the pressures that surround the big stage.